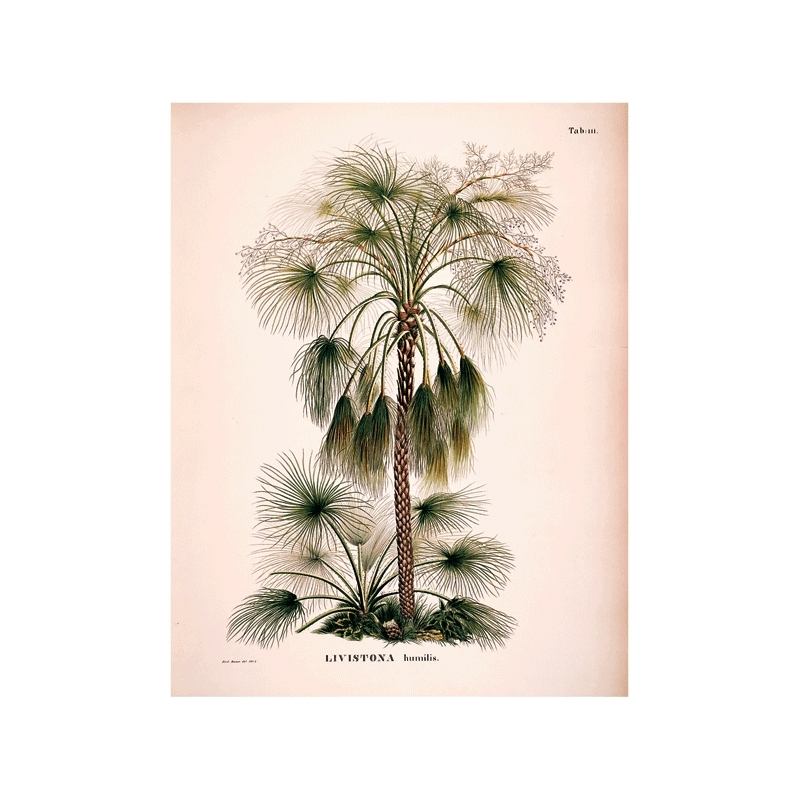 Friedrich Philipp von Martiusis an author of over 150 works on botanic started collecting information for this album during his expedition to Brazil in 1817 – 1820 and worked on it for over 30 years. 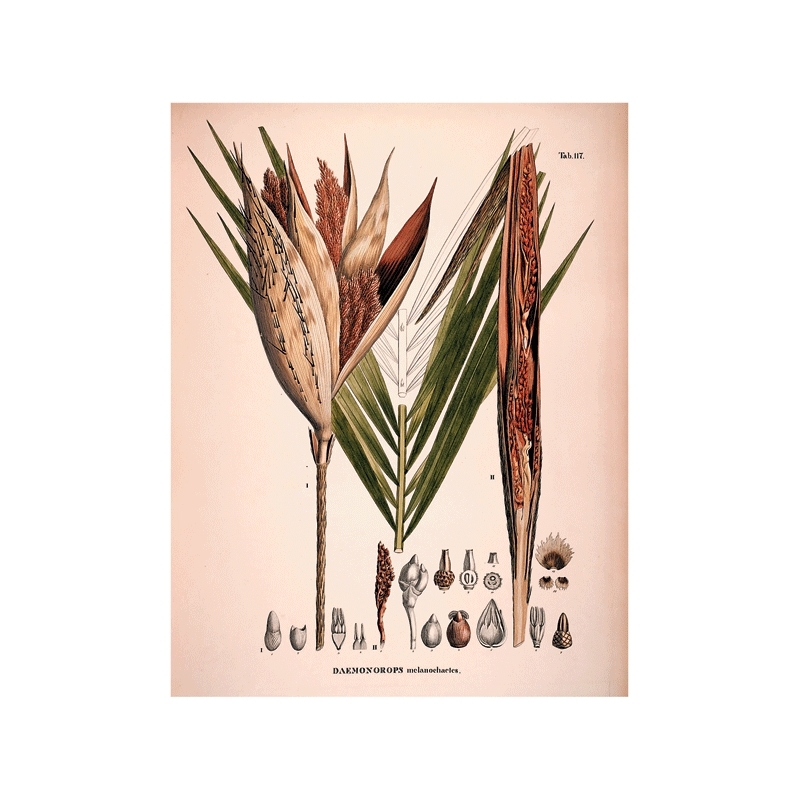 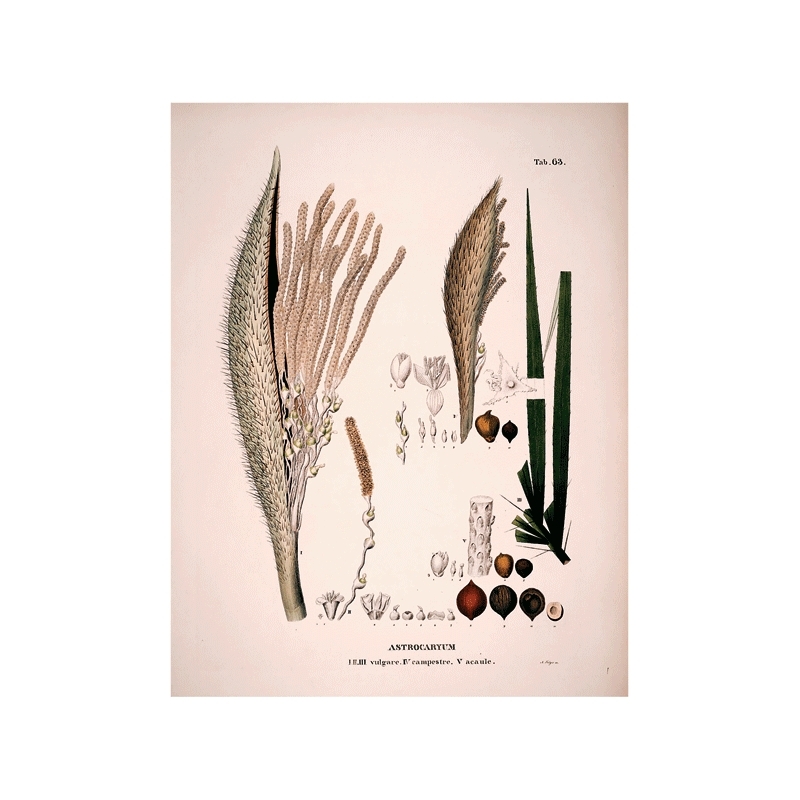 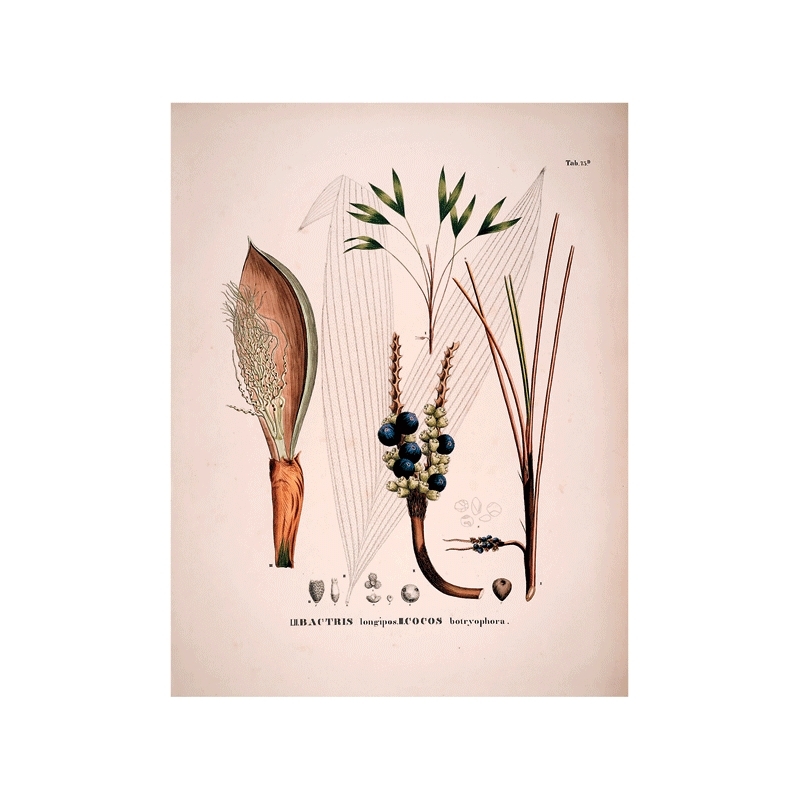 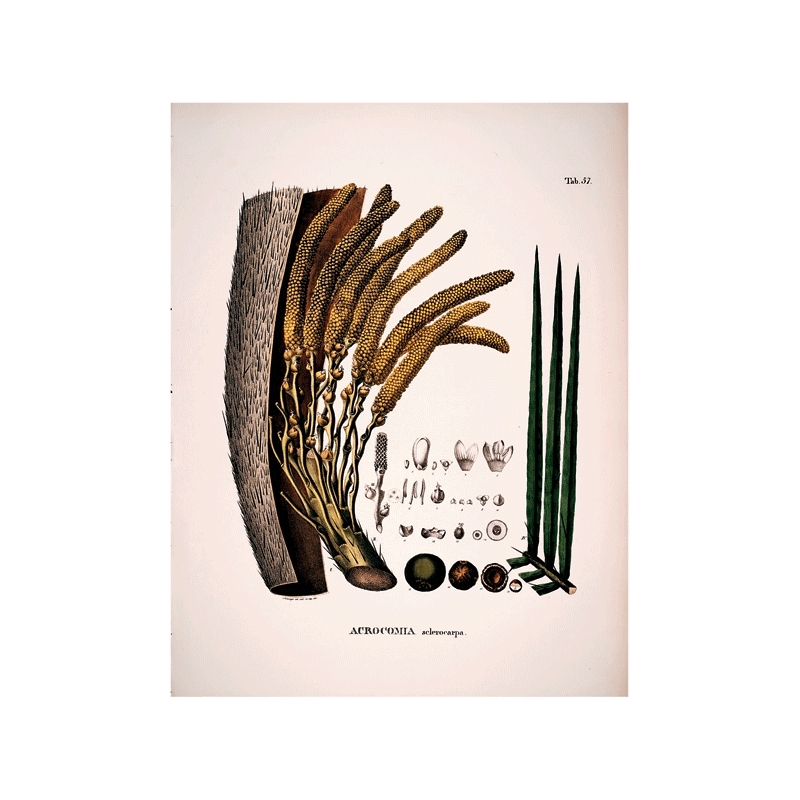 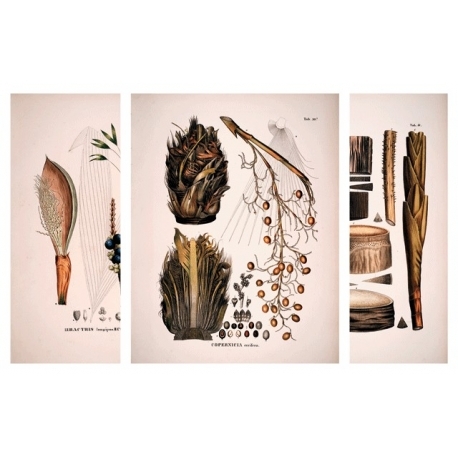 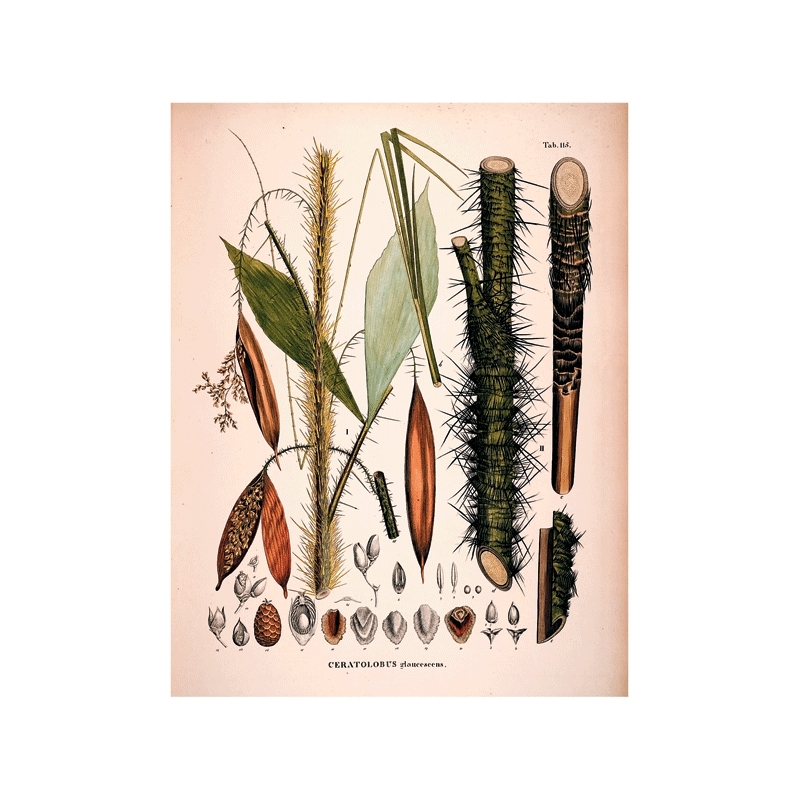 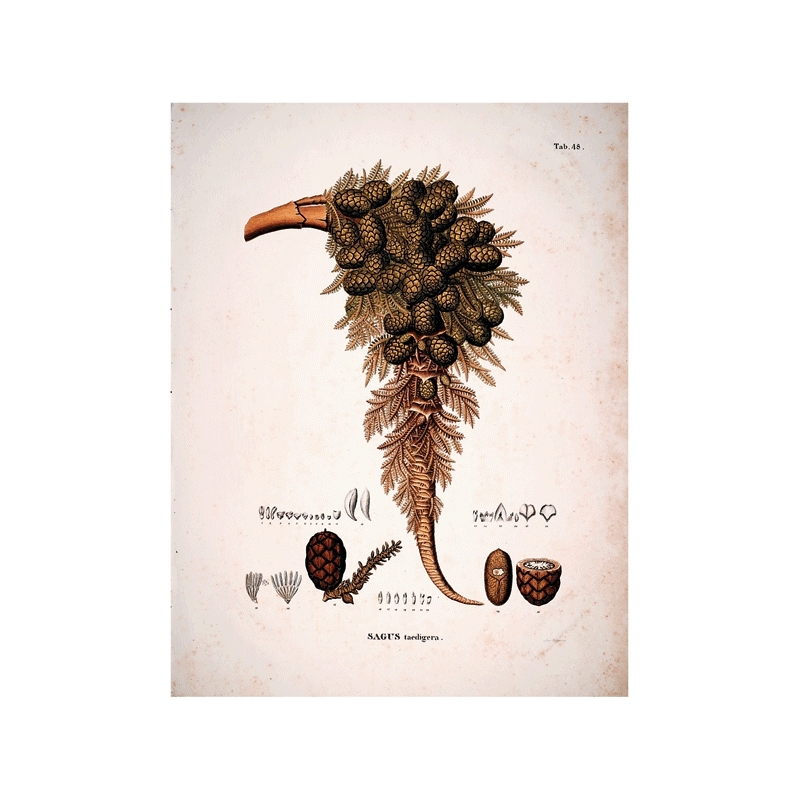 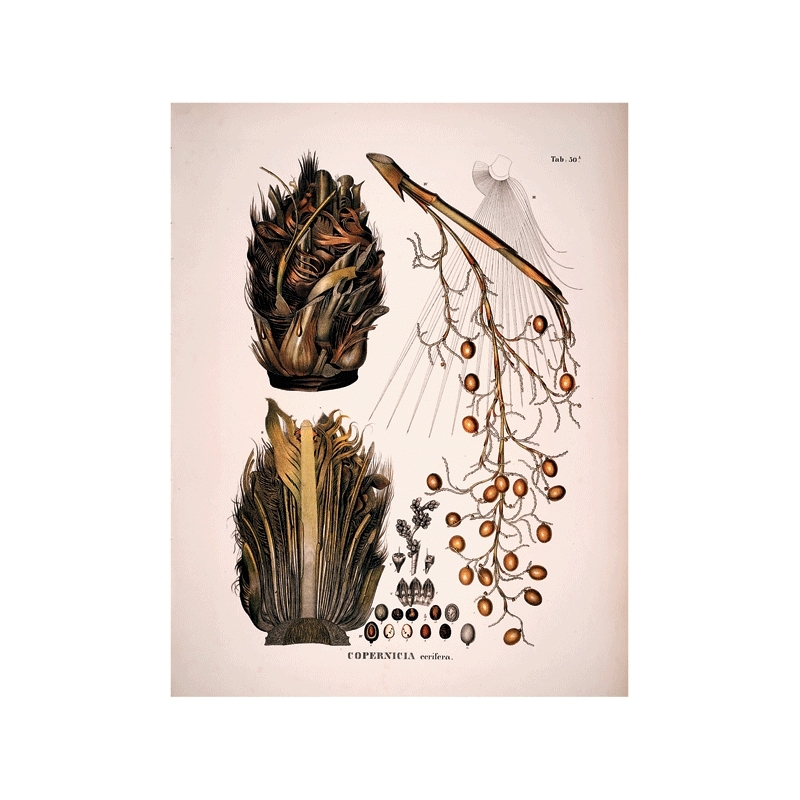 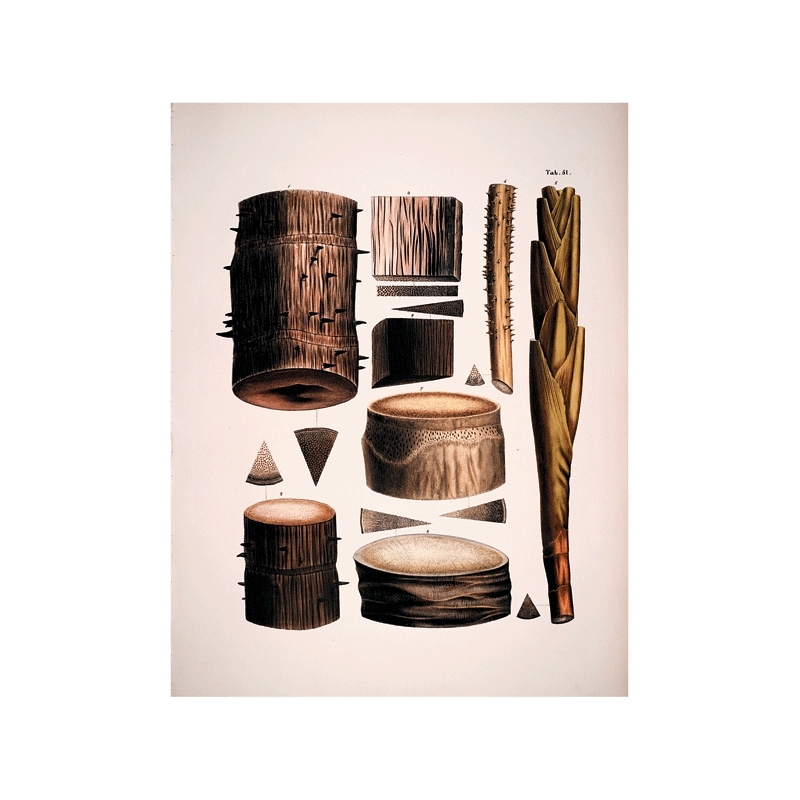 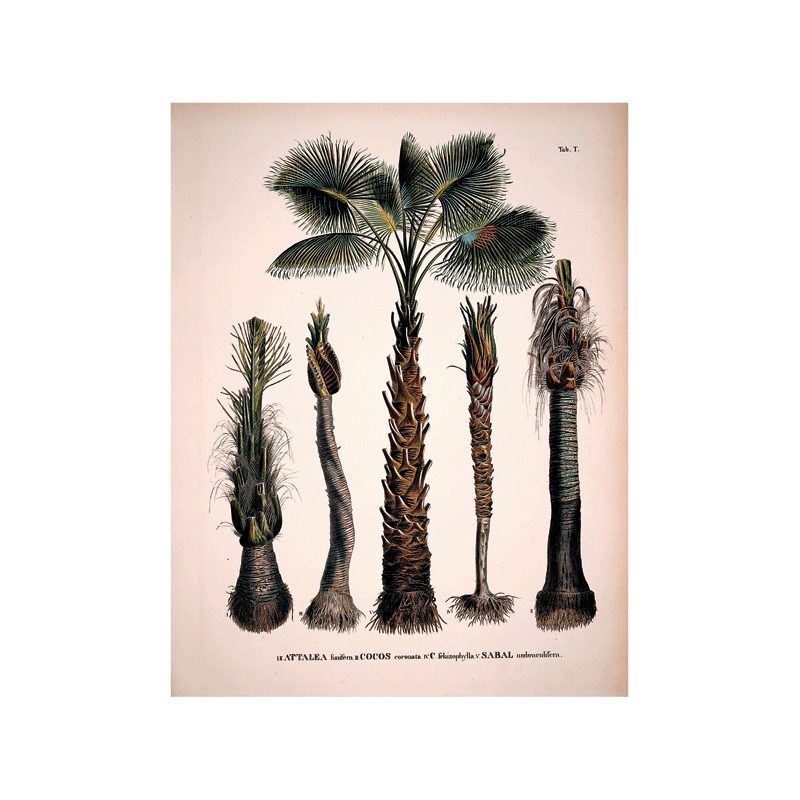 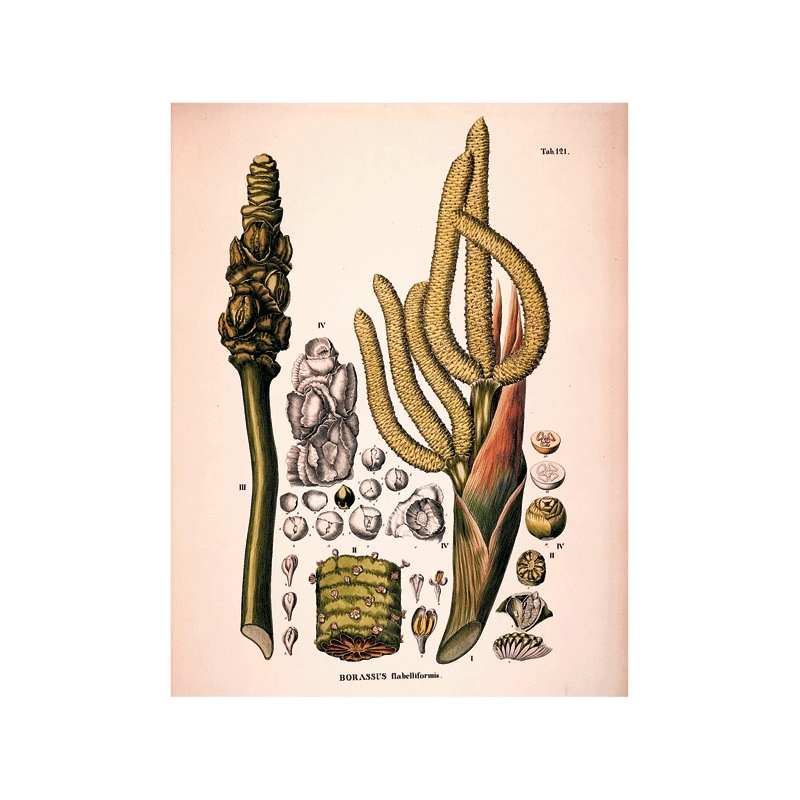 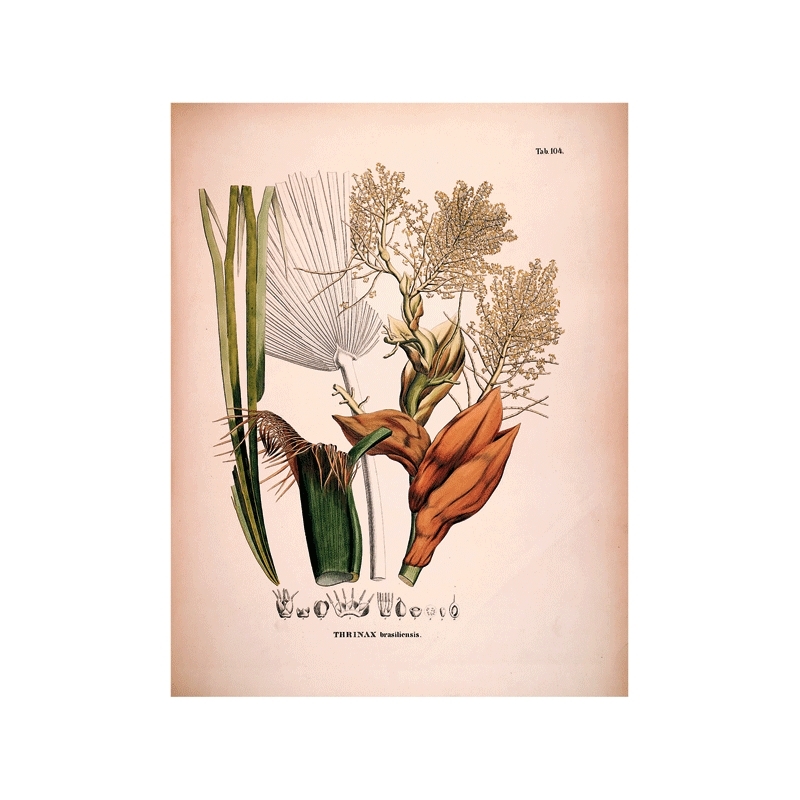 This series of illustrations includes systematic description of all known species of palmaceous blood line (Arecaceae). 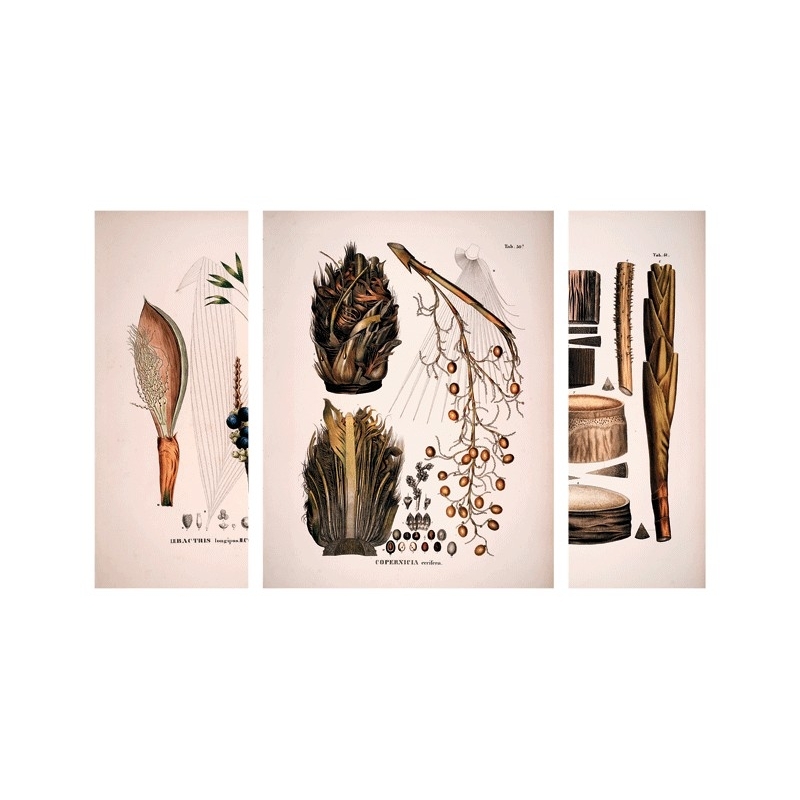 Illustrations were painted by Martinus and Ferdinand Bauer.